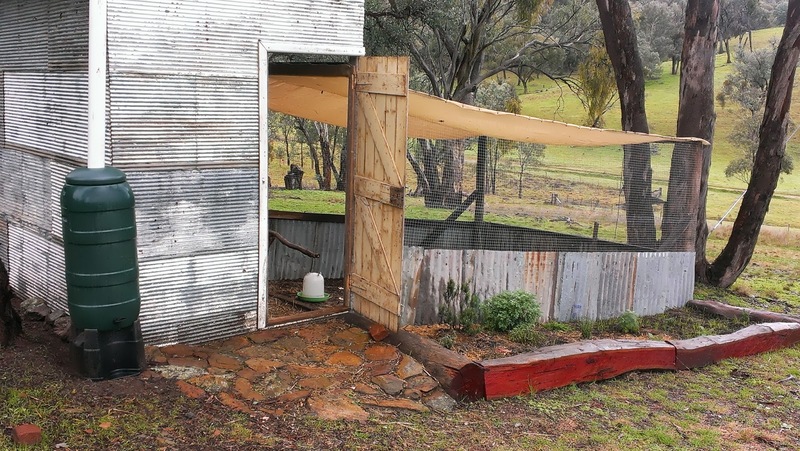 We have made recent improvements to the home of our chooks. A paved entrance using local rock. Now fetching clean water for the ladies is easy and the shed collects the water. Have roof - collect water is the motto. 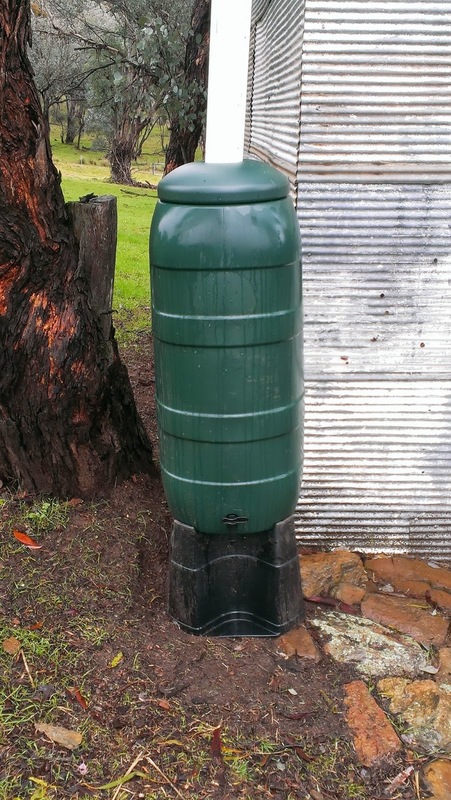 The water tank is one of the few things bought to make the chook shed. 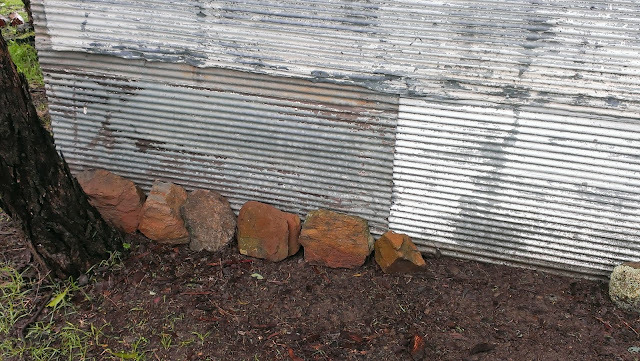 Most of the rest of the materials are recycled from around the farm. 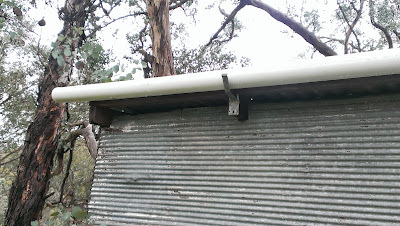 The plumbing for the shed is from recycled materials as well. 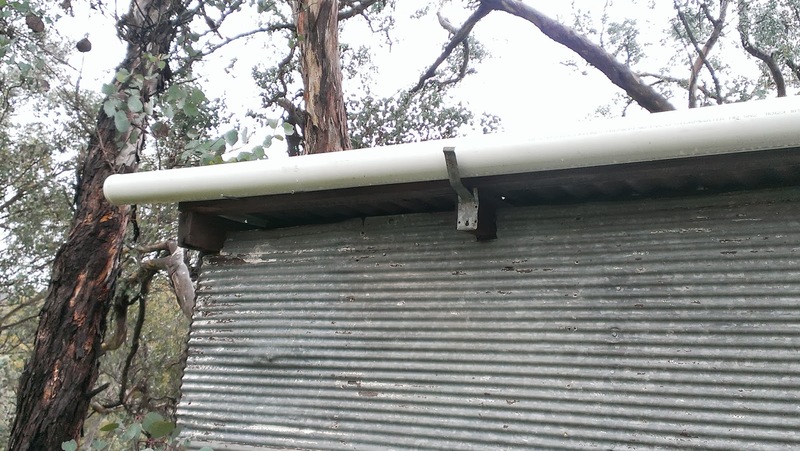 The guttering is a piece of agricultural pipe found on the property. It is very simply constructed by making a slit in the pipe and inserting the end of the corrugated iron into the slit. The very handsome Lad is the chook shed home improver - thank you! The chooky girls say thank you too! Thanks Kirsty! My brother and lovely lad have done a great job. We have some very lovely shale here. I must say that the pleasure of finding eggs hasn't yet worn off. How long have they got to go? 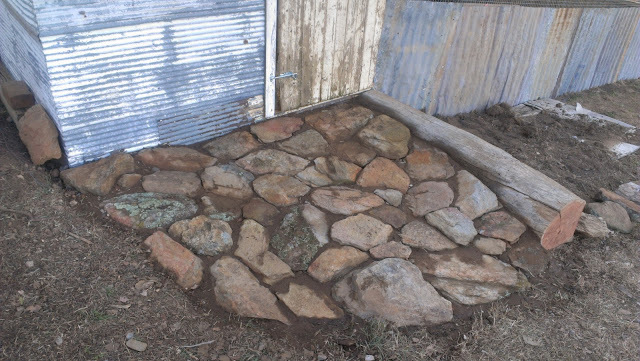 We use lots of local rocks around our chicken yard too. Thank you for sharing with the Clever Chicks Blog Hop this week! Rocks are a good predator preventer too. Hard for the foxes to dig under all that rock and rubble. Can you spare the lad for a day or two to improve my chooks' habitat?? Yours looks great! Everything is a slushy mess out the back at the moment - we have had sooo much rain here in Gippsland over the last week. I was feeling smug that one chook is still laying while the other is on strike (moulting). Well, the layer has now decided to go clucky so I expect her production will dry up soon. Here I was thinking they had worked it out between themselves to keep me in eggs over the winter. Apparently not. I could! He might like a Gippsland trip. Yes, I have been following the big rain event you have been having. 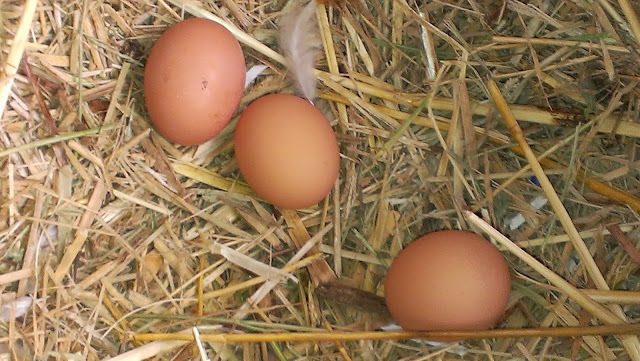 Mine are slow on the laying at the moment too but it isn't moulting, I guess it's just the nearness to the shortest day? I love the rocky entrance! In my case, I decided to do some improvements in my home but due to my work schedule I couldn't do it all on my own. This is why I asked the home expert for help - and they did an amazing job, the kitchen has never looked so fancy!